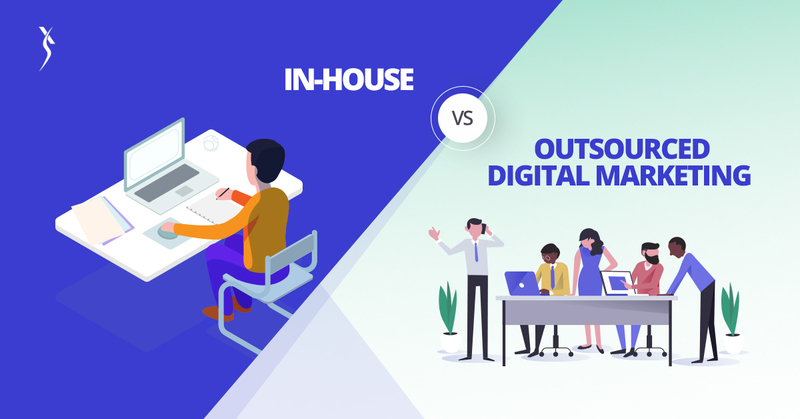 Every company with an online presence will face the question of whether to build an in-house online marketing team or to outsource to a specialised agency. This will be just a pop up question in the beginning, eventually it becomes more relevant as marketing needs and goals change over time. To make it easier and allowing you to take a quicker decision, we combined our thoughts on what we’ve seen at work for advertisers across different industries, markets and approaches. Here is a 12 minutes read on benefits of the both models. An in-house team has a much easier job making this connection with your brand. Talk about how the in-house team members can adapt the culture as he knows the business thoroughly. He makes the job easier. Internal marketing team will have extensive internal business knowledge. They will have specific insights when performing analytics and interpreting your data. Your own employees are in-tune with your business can respond faster to internal and market changes. A business selling a new kind of workout equipment may need to rely on the expertise of bodybuilding experts, nutrition experts and many other team members to market their product. Saying that if your business is not a niche industry, hiring an agency is advised than having an internal team. The person who is a genius at copy is different from the person who is a genius at design, or development, or analytics, or strategy. A lack of time, budget, and reputable training can stall in-house digital marketing teams from learning the skills they need to succeed. The learning curve takes time and money. Working with an internal team also means taking the time to develop a digital strategy, and guiding your employees on the right path. The cost of hiring an internal digital marketing team is substantial. If you have an in-house team the only way you can scaleis to hire more talent but it’s limited by internal budgets. Research found that 64% of recruiters report a shortage of skilled candidates for marketing roles. 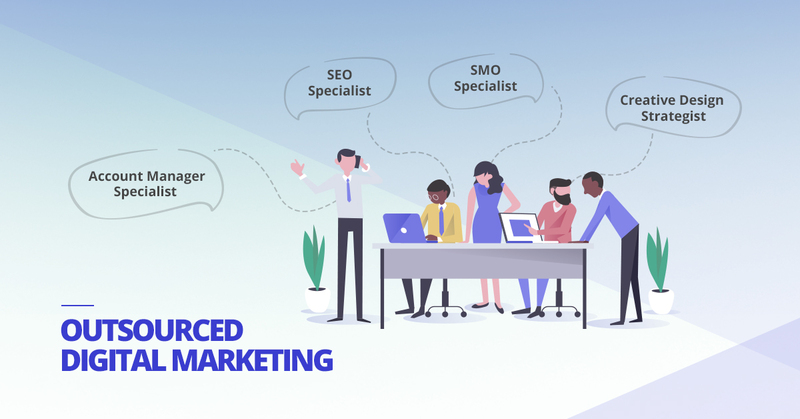 In fact Digital Marketers are more in demand and less talent and more demand means finding talent for your team could be all the more difficult. Mis-hires can be extremely costly. Hiring an agency means you get access to senior experts to develop your strategy – plus lower-cost implementers to make it happen. You can ramp up and down quickly, re-align or stop with very little notice. 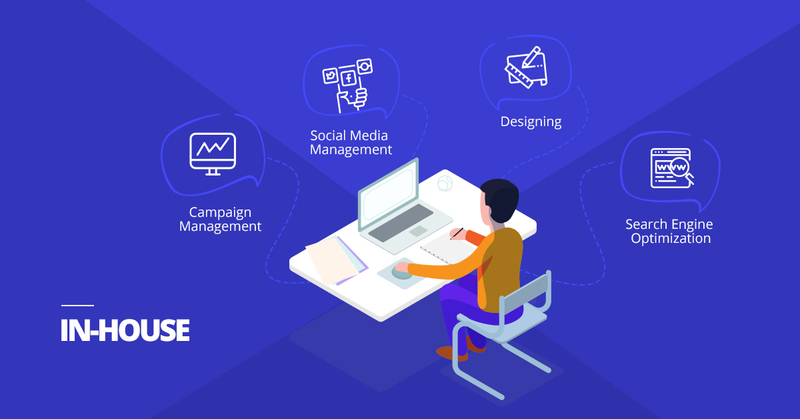 Outsourcing gives you access to a larger team of expert copywriters, strategists, marketing tech, designers and more who specialize in each digital marketing role. Outsourcing can save businesses up to half the cost of hiring a full time marketer. The cost of outsourcing depends on your needs, not individual salaries. You save money on recruiting, training, salaries. Best marketing agencies are results focused. They design their engagements based on hard outcomes. We infuse life into your brand such that it enables you to evoke emotion in your target audience. We are focused on being responsive and creating a space for your customers to engage with your brand & understand its true spirit. Find out more about our Digital Branding solutions and feel free to reach us for all your queries / requirements regarding Digital Marketing (We say it’s Banding Digitally).